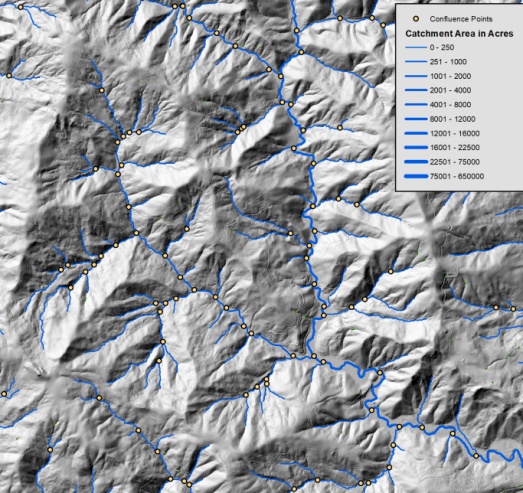 In 2015 and 2016 Tukman Geospatial worked with Sonoma Ag + Open Space, the Sonoma County Water Agency, Sonoma County ISD, and Quantum Spatial to produce a suite of LiDAR derived hydrologic data products. 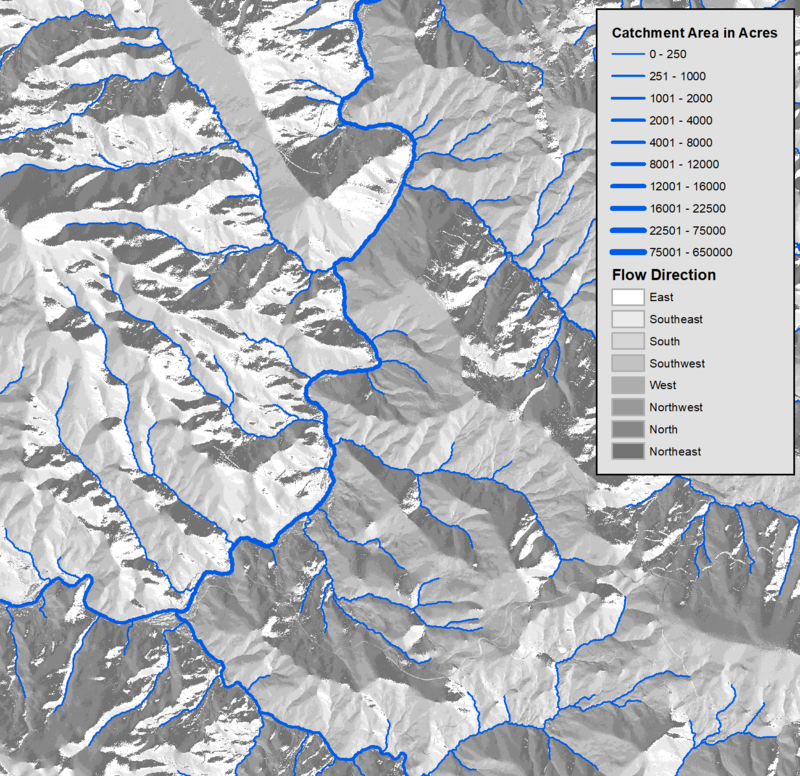 The hydrologic products include a set of vector deliverables and a set of raster deliverables. Vector products include stream centerlines, confluence points, hydroenforcement burn locations, and watersheds. 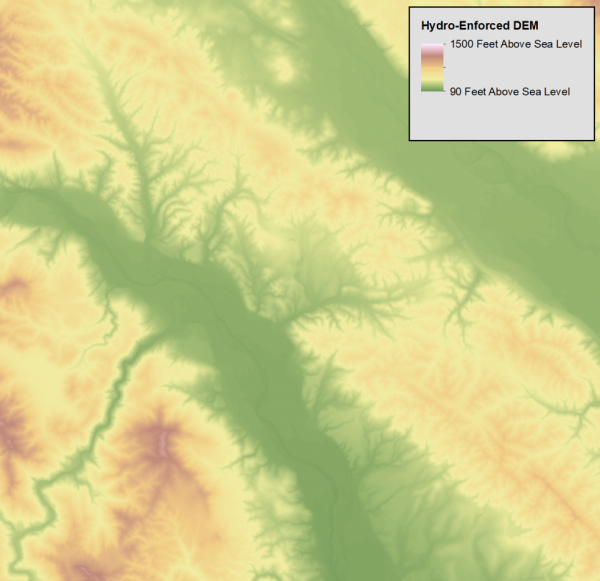 Raster products include flow direction, flow accumulation, and a hydroenforced bare earth digital elevation model (DEM). Hydroenforcement of a DEM imparts the true elevations of culverts, pipelines, and other buried passages for water into a Digital Elevation Model, creating a DEM suitable for modeling the flow of surface water. The extent of the deliverables is all of Sonoma County, the Lake Sonoma watershed in Mendocino County, and the Lake Mendocino area. 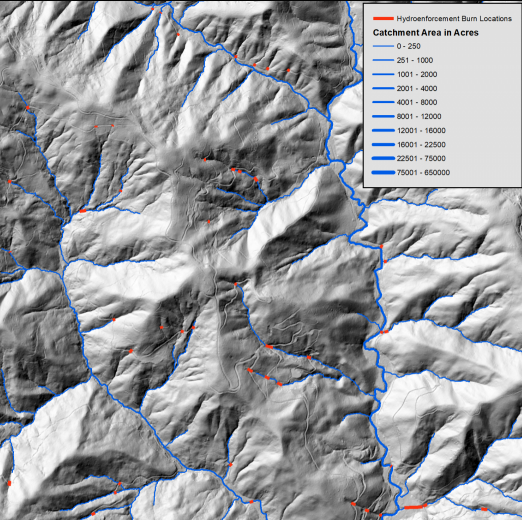 These hydrologic datasets are a mostly-automated first step in the eventual development of a ‘localized’ or ‘LiDAR enhanced’ National Hydrography Dataset (NHD). They are suitable for landscape level planning and hydrologic modeling. These data products do not contain a guarantee of accuracy or precision and – without site specific validation and/or refinement – should not be relied upon for engineering level or very fine scale decision making.